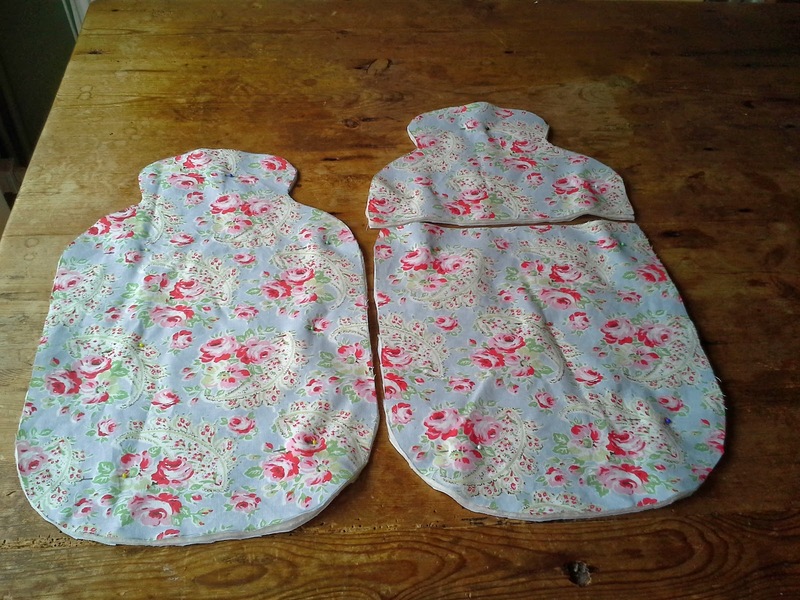 I have had the hot water bottle, the fabric and the idea sitting around for far too long. 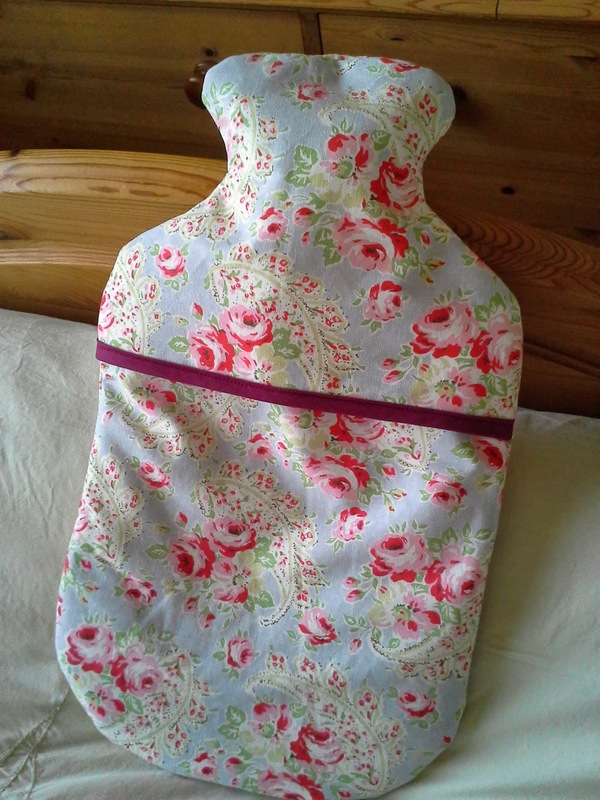 So of course I waited until the hottest weekend of the year so far to make a quilted hot water bottle cover! 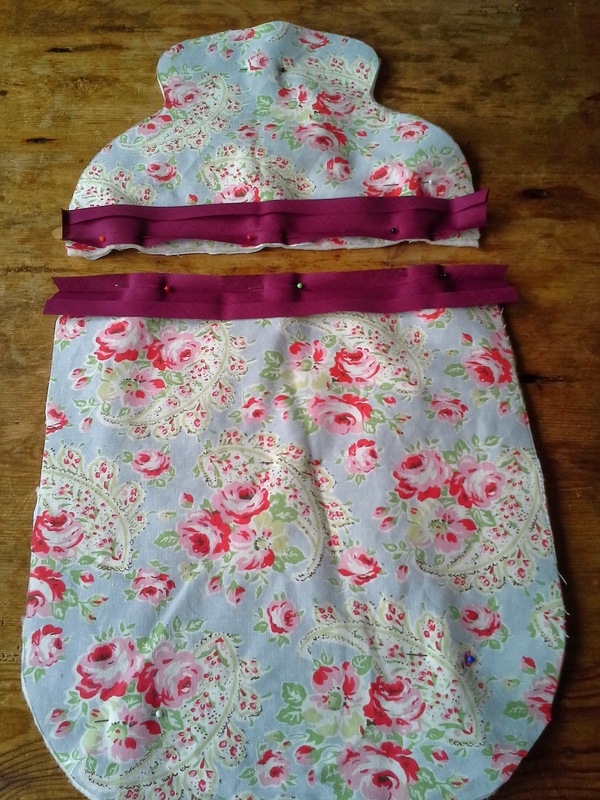 I used the idea from Cath Kidston's Sew Book. 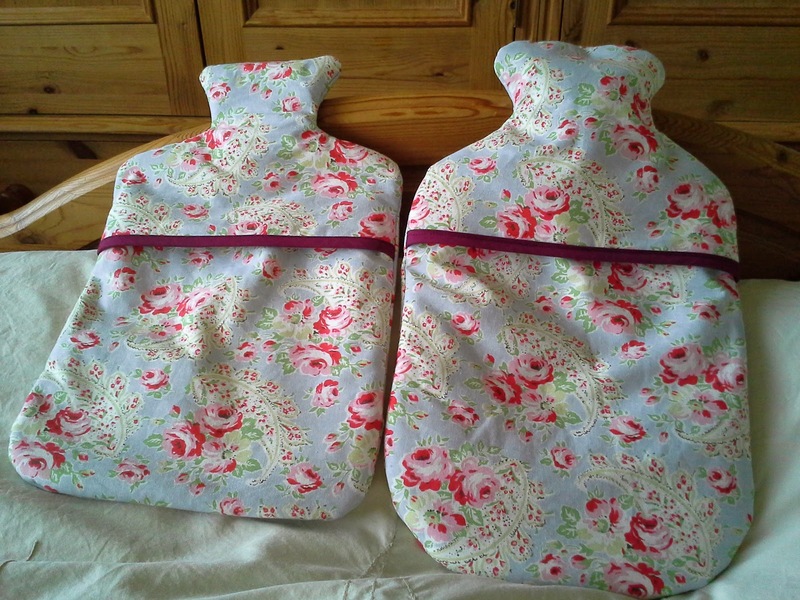 For my first attempt I simply drew around the outside of the hot water bottle allowing an extra 2cm, to get the bottle in. It ended up a tad tight around the neck, but still perfectly usable. Keen to get it just right, a couple of weekends later, I thought I'd have a go using the template provided with the book. 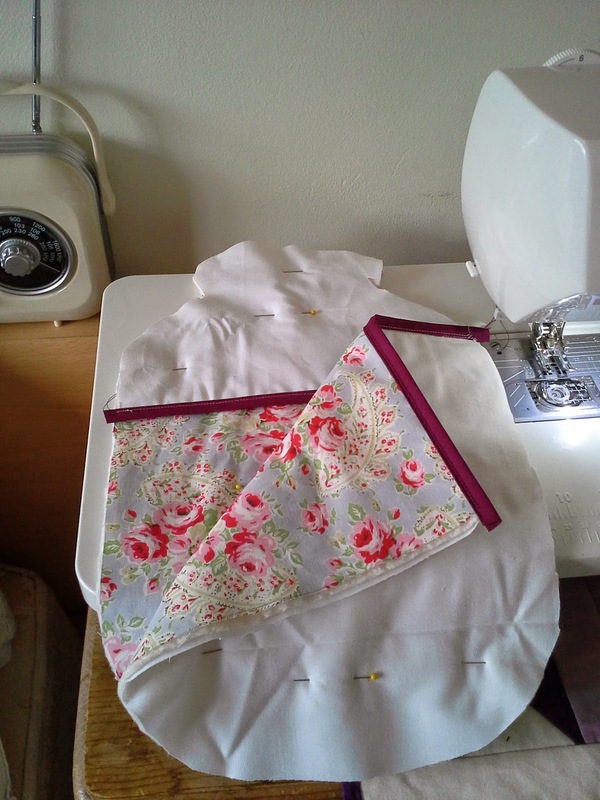 Using your chosen fabric, you cut out 3 pieces. 1 for the back and 2 for the front. Using these as a template you cut out the backing fabric and wadding, which goes in the middle to give a padded effect and provide warmth. 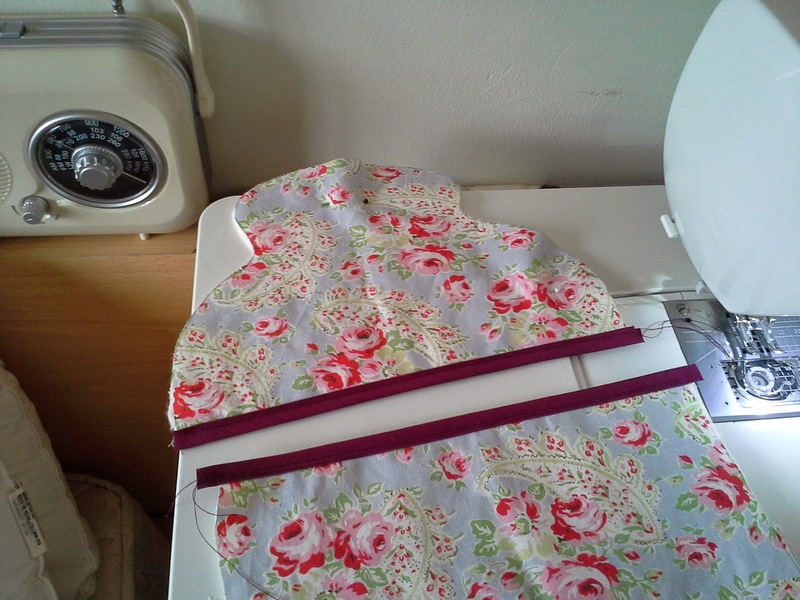 At this stage, you add on some bias-binding to the 2 front pieces to seal their straight edges. I cheated and used ready made binding. But it is possible to make your own. 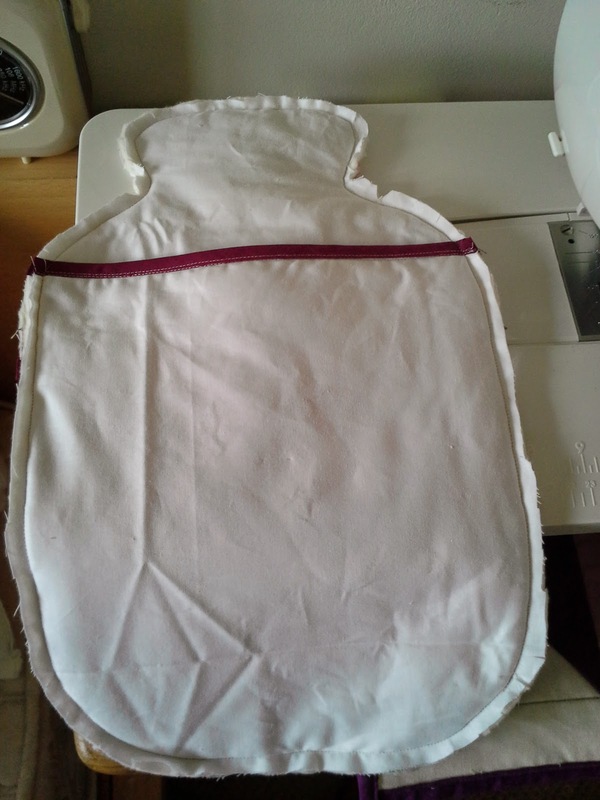 The 3 sections are placed fabric right-sides together and pinned, so the top flap will be the outermost piece. 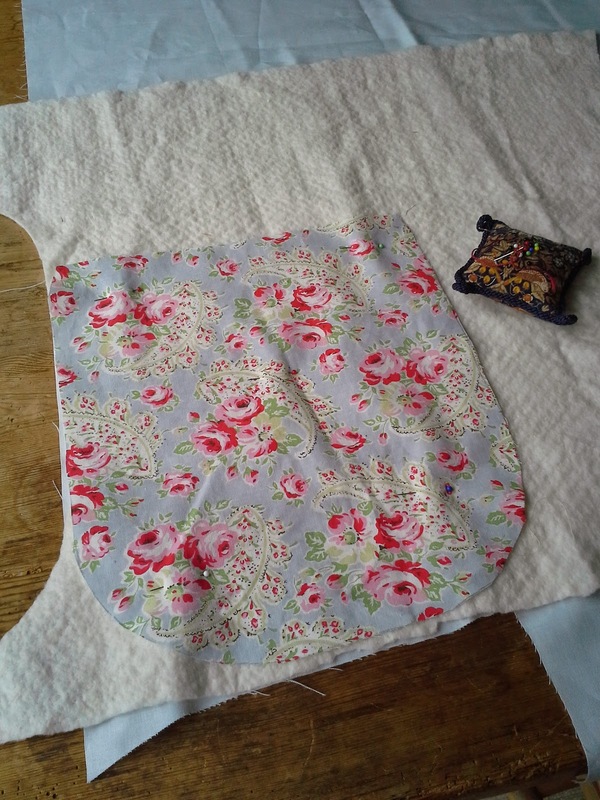 You then simply sew the 3 pieces together and cut out a few notches on the curved edges. This ensures less bulky corners when you turn the cover the right way. Turn the cover the right way (removing all your pins!!) and voila! Here's the difference between my 1st and 2nd attempt. 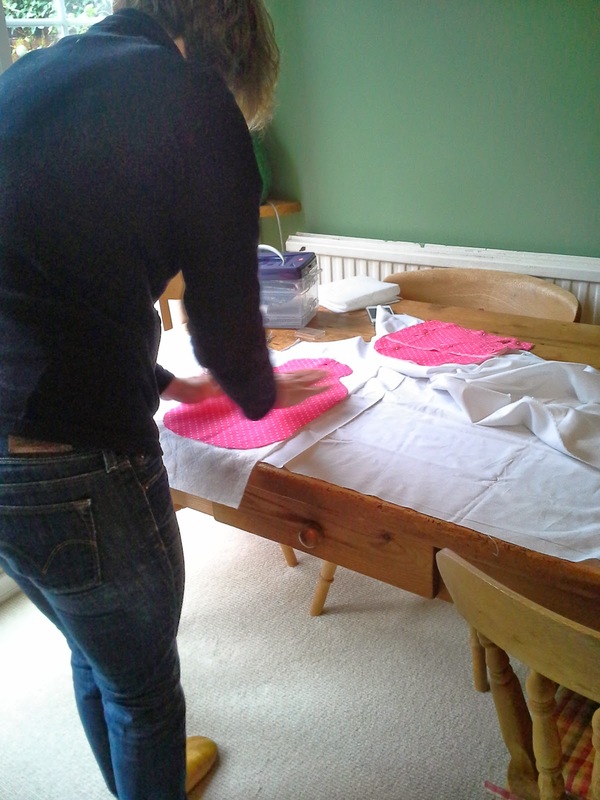 My friend Raph has also got the sewing bug and is working her way through the book too. Here's our attempts, with some possible embellishments. 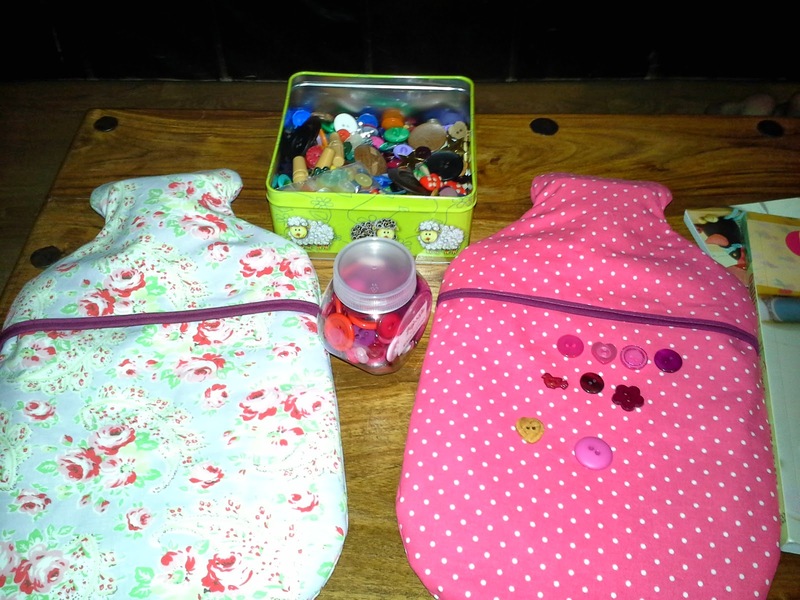 A really quick and easy sewing project.